IT.integro - winner of the Business Gazelle award 2018! Once again, IT.integro has been honored with the prestigious Business Gazelle title. The award is granted to the most rapidly growing companies, based on a ranking prepared by Coface at the request of the editors of the business journal named “Puls Biznesu”. A gazelle is a small or mid-sized company distinguished by their fast growth rate. It is measured based on their revenues and dynamics of the economic development over the last three years. In the base year of 2015, generated sales revenue between 3 and 200 million PLN. The position in this prestigious ranking is not determined by the jury but depends on the growth dynamics, expressed as a percentage, achieved in 2015-2017. 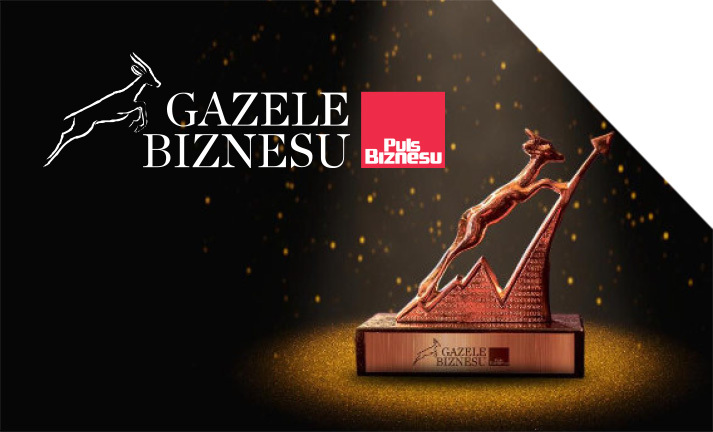 The Business Gazelle award is the guarantee of reliability and impeccable reputation which are of paramount importance in building long-standing relationship with customers and business partners.